1. High frequency current heating, fast heating and rapid thermal recovery. 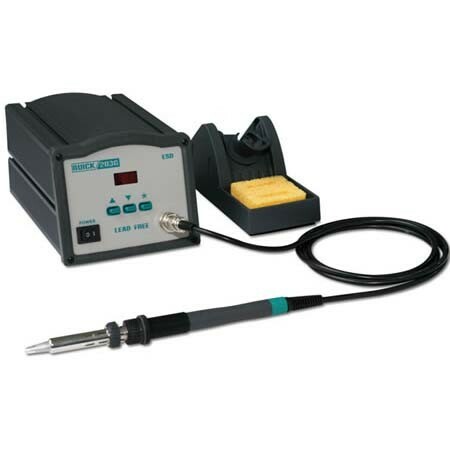 QUICK203G soldering station is suitable for lead free soldering. 2. Micro computer control. Set temperature only by pressing keys and calibrate it digitally. Auto sleeping and auto shut-off functions are available. 3. Large power design (150 watt), max 8mm tip available. 4. Temperature locked by password to ensure soldering process. 5. ESD safe design, various types of tips available.